Image Size: 9" x 6" Framed Size: 14" x 11" Max Jacquiard has been painting steam trains since 1980. 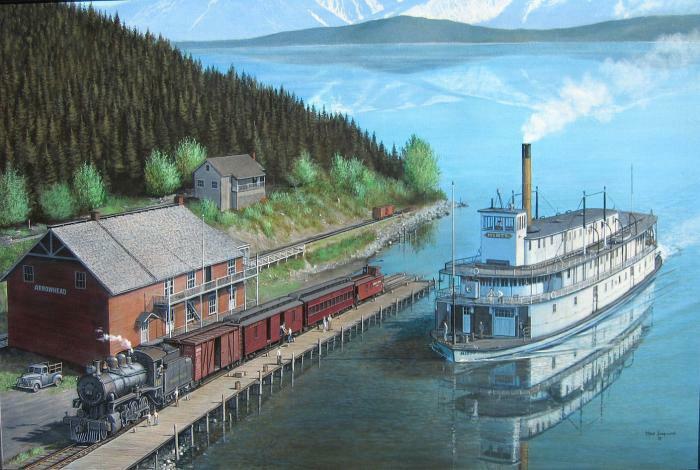 The Coquitlam resident has quietlybecome one of the most respected artists in Canada and North America in his specialized field of portraying steam locomotives. Max has a sizable library of printed materials, photos and slides of steam trains and the locations and places they would have operated. It is that precise attention to details that sets Max apart from the other artists. The sensitivity and passion that he infuses into his subject is what you feel in each and every one of his canvases.